Home→New Mantids for Sale→Idolomantis diabolica (Giant Devil’s Flower Mantis) (1st instar) available now! ← Hymenopus coronatus (Orchid Mantis) available now! Idolomantis diabolica (Giant Devil’s Flower Mantis) (1st instar) available now! Idolomantis diabolica (Giant Devil’s Flower Mantis) for sale – Please feel free to contact me or leave a comment below regarding these and/or any other aspects of Mantis care and/or breeding, i’m more than happy to try and help if i can. 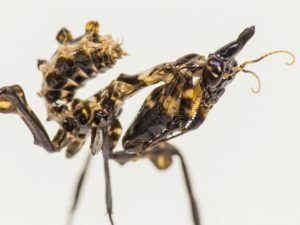 Idolomantis diabolica (Giant Devil’s Flower Mantis) (1st instar) (click link on text, or on the image to be transported to the sale page of this species). Have you a pair of Orchid Mantis and a pair of Idolomantis diabolical available for purchase? 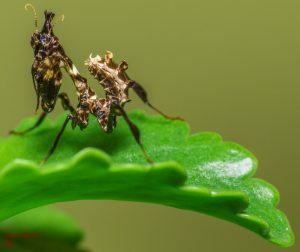 I do have Orchid pairs yes mate (2nd/3rd instar), but the Idolomantis are still only 1st instar, so i couldn’t guarantee a sexed pair i’m afraid. I can try, but i couldn’t promise.